6 US Presidents, Obama, George W. Bush, Reagan, Carter, JFK, Eisenhower UFO Sightings. 1. Lets start off with the current president. On November 1, 2008 President Elect Obama was giving a speech in Pueblo Colorado on his campaign trail to get elected as president, when MSNBC was filming video of Obama, when they latter showed this video to the public, someone noticed an unusual object moving about 50-60 mph across the cloudy sky. The object appeared gray colored and without wings. There is no way that his video has been faked because MSNBC has the original, with the same UFO flying across it. How could someone at the MSNBC not notice this? Because, often UFOs are caught on photograph or video cameras, but the UFOs were not there when the person took the picture of the sky. Also note, the object is small and only takes up about 10 seconds of video, also making it difficult to catch. This means the crafts often have some kind of cloaking abilities, which would be to par with those who fly it since the pilots of such craft probably have thousands if not millions of years of technological innovations than we do, yet again, the camera’s lens in different than the human eye, and thusly may be able to see what we can not. Perhaps the above sighting was just coincidence, then the chance of it happing again would very slim indeed. Wrong, it happened again! 2. As nearly two million people gathered to watch Obama’s Inauguration, when a UFO sighting was made, and not by a spectator, but captured by a cameraman who was broadcasting the scene live for CNN. Just as the announcer was talking about how the Inauguration was about to begin in thirty minutes or so, an object shot across the Washington Monument as the camera zoomed out to show the mass crowds that had gathered to see Obama. What was seen is a grayish side view of what looks like a disk flying past the Washington Monument and over the crowd and then vanishes on the other side of the screen, far above the trees, which discounted it being a possible bird. Also when looking at the video in slow motion, I notice that people walking normal speed will take only two steps before this UFO flies over them and out of sight. This UFO crossed the distance of 110-130 meters in the time it took the average person to walk two steps! The object actually flies in front and past the Washington Monument and over a CNN camera man hanging sitting mid-air on a swing like apparatus hanging from scaffolding, making this object 2.5-4 meters from end to end. Now when I freeze the video motion while the UFO is right over the hanging cameraman, we see the UFOs length is four times the width of him, even at such a great distance. This video was later on FOX News and many other news agencies aired this particular UFO sighting. Newscasters at FOX said “there was nothing in the airspace over the Inauguration that day. Airspace was closed.” UFOlogist around the globe called the sighting a ‘rod.’ It’s a previously unknown life form that is active in our environment and is only seen flying. Why you ask would an alien species be interested in the presidential inauguration so much that it would come to visit? One response overwhelms all others. 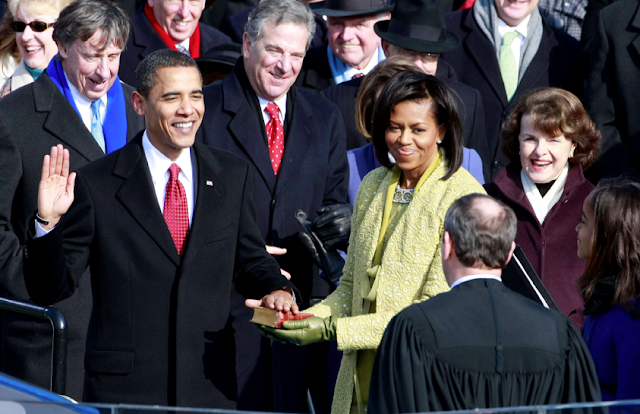 At the inauguration were the most influential people in America today. People like Members of Martin Luther Kings family, Oprah Winfrey, Caroline Kennedy, Muhammad Ali, Al Gore, Jesse Jackson Jr., Beyonce, Jay-Z, John Cusack, Magic Johnson, Dustin Hoffman, Steven Spielberg, Samuel L. Jackson, Denzel Washington, Spike Lee, and Smokey Robinson. Most importantly also present were former Presidents Bill Clinton, Jimmy Carter, George Bush and George W. Bush, adding in Obama. The UFO can see a set of 5 US Presidents all at once and sitting together, outside and in full view of the world with the sky as their ceiling, sitting just feet from one another. If aliens wanted to see a mass of the most influential Americans, then this inauguration was the moment to do it. 3. President Obama receives the Nobel Peace Prize in Norway and on the same day between 7 and 9 o clock in the morning, december 9, 2009 this strange thing happened in the skies above Norway. Thousands of people saw this, took photos and filmed it and posted to their blogs. It appeared in the east, moving westwards. It was described as a spiral moving light, completely silent. After about 1 minute or so, the light disappeared and seemed to dissolve, leaving a grey mist/halo expanding, then dissolving. The green/blue lighttrail remained for hours. People describing it as frightening/exciting and beautiful. President George W. Bush however, had his share of run-ins himself. 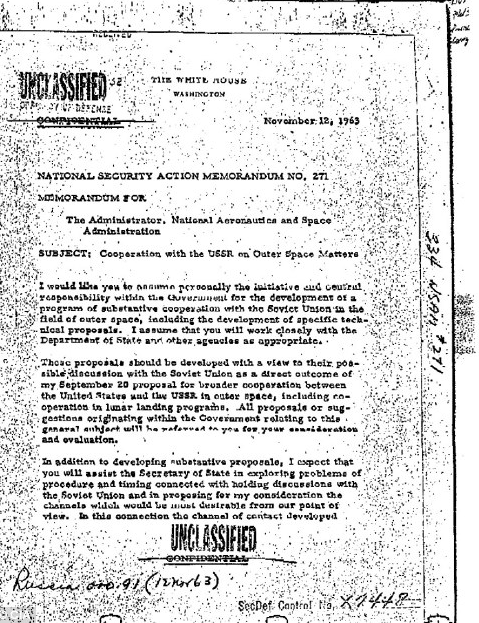 On November 20, 2003 radar from the FAA and NORAD detected an unknown radar target within restricted airspace around the Whitehouse. The time was between 9:00-9:20 AM. Upon the UFO’s discovery, preparations to evacuate the Whitehouse had begun. NORAD scrambled two fighter aircraft to the area that the UFO was detected, but nothing was found, and they called off the evacuation. If the US Government doesn’t believe in UFO’s then why are they running from them? Fox News, Reuters, and CNN covered the story. This happened again on April 27, 2005. A UFO was blipped across US security radar just 20 miles south of Reagan National Airport at 10:40 am. It moves swiftly towards the Whitehouse at speeds of about 75-120 miles per hour. The Whitehouse was fast to evacuate the president. Minutes latter President George W. Bush was in an underground bunker below the Whitehouse, not to mention that Vice President Cheney was not invited below ground, but instead had to be escorted off the Whitehouse grounds to a secure location. A Black Hawk helicopter was sent to the scene again, as well as a Park Police helicopter and a third local police helicopter for safe measures. All the helicopters that were sent to investigate, found only an empty sky. The object disappeared from radar only to reappear just a few miles from the airport again. 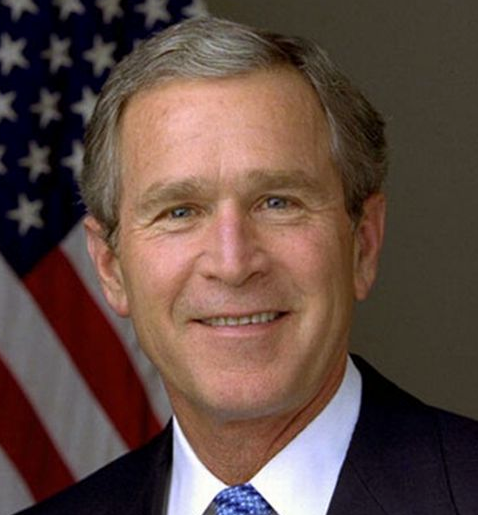 Although humorous, George W. Bush was traveling to the West Bank, Israel, Kuwait, Bahrain, The United Arab Emirates, Saudi Arabia, and Egypt from January 8-16, 2008, making it highly unlikely he was out on a joy ride in some huge alien craft, yet America does have numerous bases over there, which could in fact allow the USAF to experiment with alien ships without Americans noticing. So did the craft fly over the Crawford Ranch? That radar information was not given out to the public, but if it was headed in that direction on last radar report, most likely the answer is yes; it flew over the Presidential Ranch. So if it was not a coincidence, were they perhaps looking for or working with the president? Or does a species from beyond, control American politics for their own gain? With President Bush being a former military fighter pilot, it may have been tempting for him to pilot such a craft as seen flying over his very ranch. Perhaps coincidence, or alien curiosity, only time will tell. Think about this, former president George W. Bush decided to go skydiving on his 80th and his 85th birthdays. His 85th birthday was not his second, but actually his 7th time that he skydived! This guy is a risk taker. If the Bushes are that wild even in old age, then can you imagine what an ex-military jet pilot would do if he saw a 300 meter alien ship in the hands of the USAF? It is very possible that President Bush used his authority to take the helm of this ship from a hidden base and flown it half way around the world in mere minutes to take a look at his own ranch from the air. Please note, that he has already done this in the past as proof. On May 2, 2003 President Bush used his authority to co-pilot a Navy S-3B Viking hover jet and flew it over to the USS Abraham Lincoln aircraft carrier. Bush stated that he did fly the craft alone for awhile stating, “Yes, I flew it. Yeah, of course, I liked it.” His past experience of being a F-102 fighter pilot back in the Texas Air National Guard, kicking it. It would be just natural for Bush to take control of an alien technology ship in USAF hands and fly it to the location he loves the most, Texas. Why the ranch, easy, to go home and impress his folks, namely George H.W. Bush with his new ride. Paynter said that it didn’t end there. 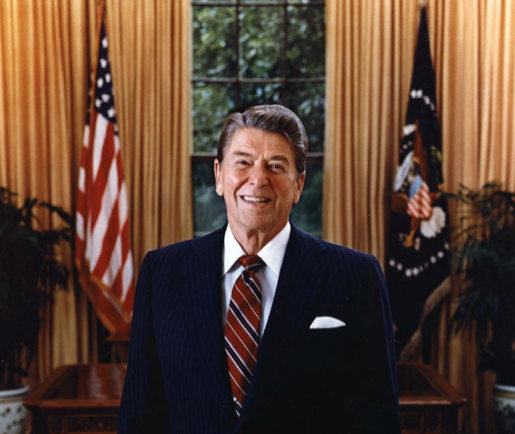 He said that he and Reagan talked about their UFO sighting every once in a while, years after the sighting occurred. Carter’s UFO sighting began shortly after dark on a windless night. Jimmy Carter was standing outside the Lion’s Club in Leary, Georgia, waiting for a meeting to start. Suddenly, he and ten or more witnesses, sighted a red and green orb radiating in the western sky. Carter described an object that "it seemed to move towards us from a distance, stop, move partially away, return, then depart. Bluish at first; then reddish - luminous - not solid." 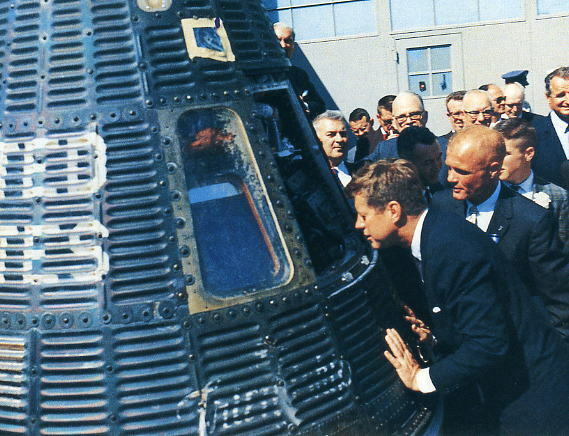 "At times," reported Carter, "it was as bright as the moon, and about as big as the moon - maybe a bit smaller. The object was luminous; not solid." 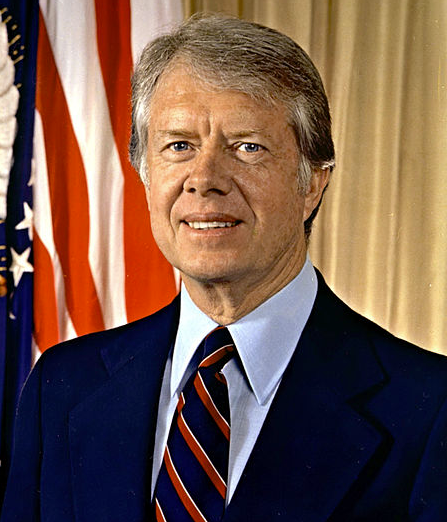 In an interview with the Atlanta Constitution, Carter described the moving nature of the event. He described the sighting as a "very remarkable sight." This is an important event, because many of the skeptical investigations done on the Carter sighting, have tried to paint the event as a ho-hum occurrence. None of the descriptions Carter has made of the event have ever described it as ho-hum. Jimmy Carter’s mother Lillian also confirmed that Carter had been very impressed by what he had seen. "The UFO made a huge impression on Jimmy," she stated. "He told me about the sighting many times. He’s always been a down-to-earth no-nonsense boy, and the sighting by him, as far as I am concerned, is as firm as money in the bank." Carter had, in fact, described the UFO sighting many times in the years since it occurred. 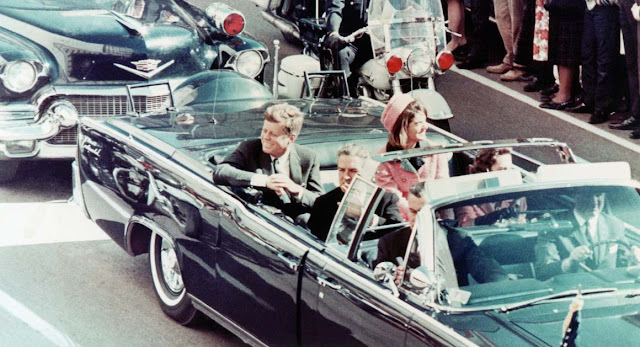 In every instance, including the latest known telling of the story at Emory University in 1997, Carter has never backed off on the spectacular nature of the event. He has also never conceded that was he saw was some misidentification of a natural phenomena. Carter estimated that the object was three hundred to one thousand yards away. He estimated that the event had lasted 10 minutes. Then the object disappeared. Carter was so impressed by what he had seen, he recorded his impressions of the event on a tape recorder at the time. 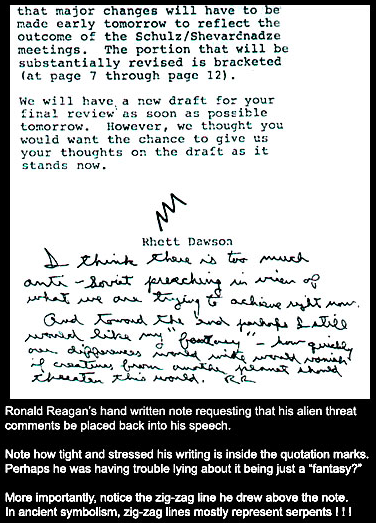 Alien researchers say the latest documents, released by the CIA, add weight to the suggestion that the president could have been shot to stop him discovering the truth about UFOs. President Eisenhower Saw Alien Bodies And UFO From Roswell. One of the first conclusions an impartial observer must make about the subject of UFOs is that rumors and circumstance play far too great a role in what ought to be a more exacting quest for knowledge. It is just such an observation which once led Dr. Carl Sagan to comment dryly that UFOs "are more a matter for religion and superstition than they are for science." While this dismissal is perhaps unscientific in its own right, the point is well taken. Attend any gathering of "UFO people" you want, and simply listen. Rumors abound. Perhaps worse, however, is that some of these rumors manage to circulate for years (even decades) without anyone making a reasonable effort to get to the bottom of them. One of the most persistent of these is a story that President Eisenhower visited Edwards Air Force Base in early 1954, and either viewed the bodies of dead aliens and the wreckage of their craft, or met with live aliens on some sort of diplomatic mission to earth. The story takes many forms, with the common thread being that Ike mysteriously disappeared one evening while on a vacation to Palm Springs, and that he was spirited to Edwards to view (or meet) aliens. It is said that he returned by dawn and shortly thereafter ordered absolute secrecy about anything having to do with UFOs. 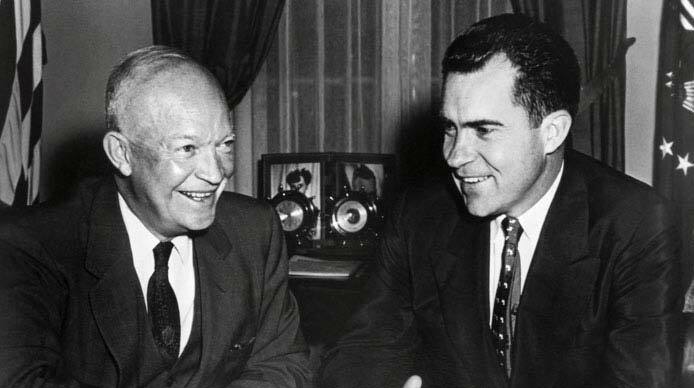 For example, President Eisenhower did indeed make a trip to Palm Springs between February 17th and 24th, 1954, and on the evening of Saturday, February 20th, he did disappear! When members of the press learned that the president was not where he should be, rumors ran rampant that he had either died or was seriously ill. The story even managed to get onto a press wire before being killed moments later. To quell the fuss, White House Press Secretary James Haggerty called an urgent late evening press conference to announce "solemnly" that the president had been enjoying fried chicken earlier that evening, had knocked a cap off a tooth, and had been taken to a local dentist for treatment. When Ike turned up as scheduled the next morning for an early church service, the matter seemed ended. Although the Palm Springs trip was billed as a "vacation for the president", the trip appears to have come up rather suddenly. 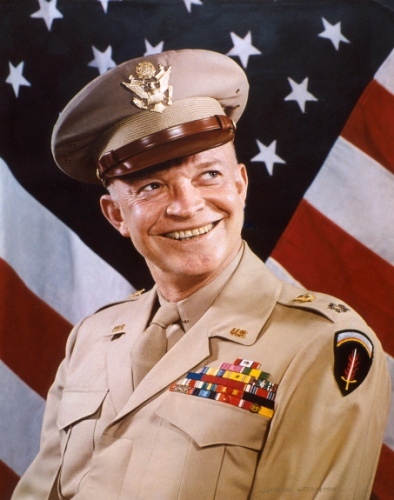 In addition, it is a matter of record that Ike had returned from a quail shooting vacation in Georgia less than a week before leaving for Palm Springs. 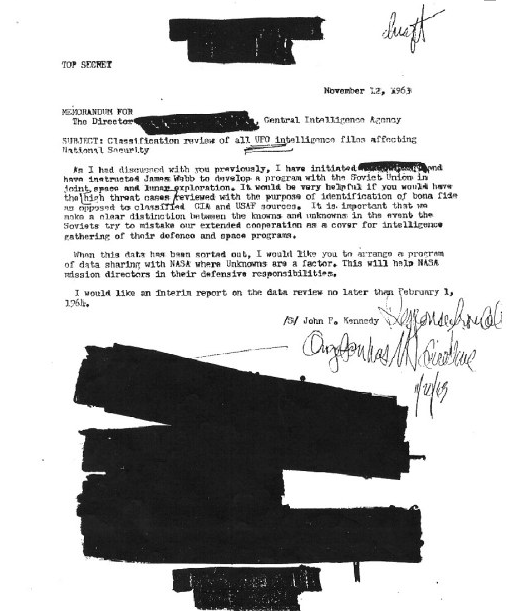 While the incidence of a local dentist being called upon to treat a president of the United States is unusual enough that it should constitute a rather memorable event for those involved, the dentist's widow, in a June, 1979 interview, was curiously unable to recall any specifics relating to her husband's alleged involvement in the affair--not even the time of day it had occurred. Yet her memory appeared flawless when asked to relate details of her and her husband's attendance (by presidential invitation) at a steak fry the following evening, where her husband was introduced as "the dentist who had treated the president".